With the highest species diversity in the Mediterranean region, Alyssum is a easy to grow flower plant suitable in spring, summer and fall. Introduction and Uses: Alyssum is a low growing, spreading plant with narrow grey foliage. The fragrant plant branches freely, and each branch ends in a spike of honey-scented white flowers. When in the flowering stage, the small plant looks like a floral carpet. 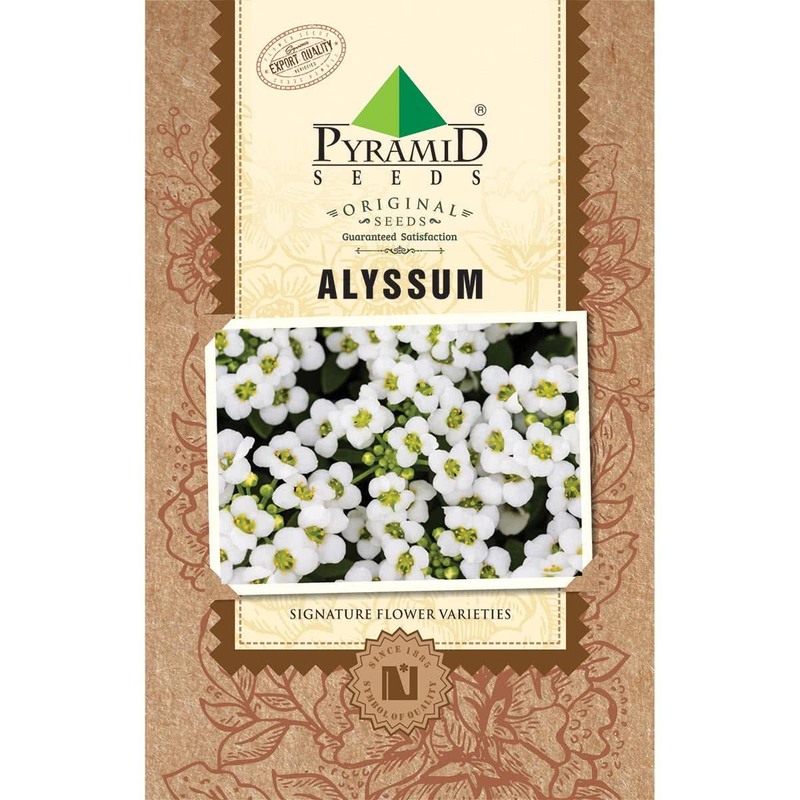 Sweet Alyssum has a variety of uses. It is best suited for beds, borders, window boxes, and hanging baskets. It is suitable for covering open spaces under blooming bulbs, as edges in Rose beds, or under flowering shrubs. Plant it to add beauty to the rockeries, paved gardens, and dry walls. 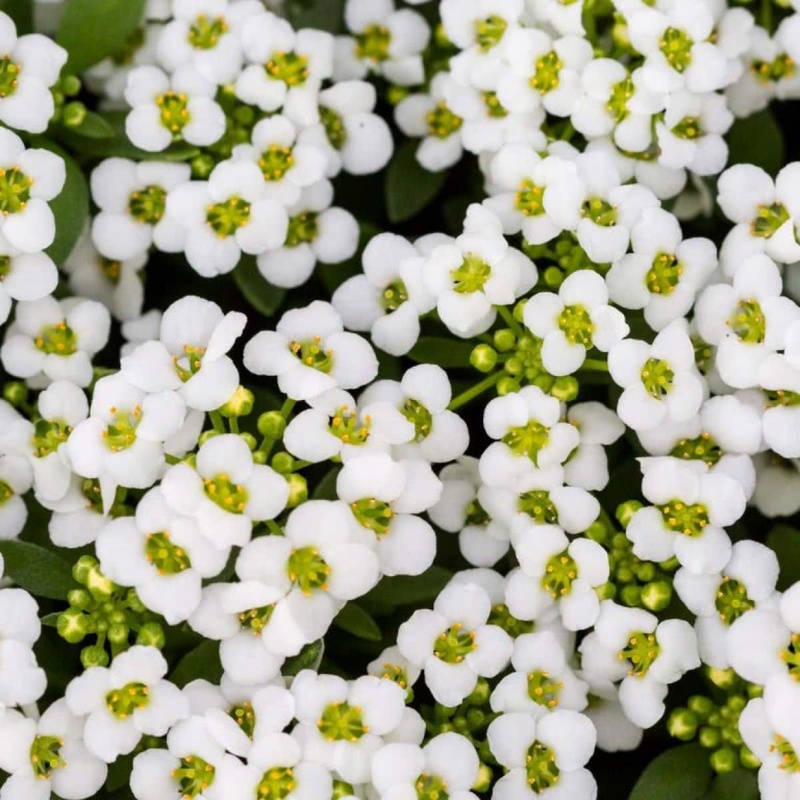 Sweet Alyssum is grown by direct seed sowing in pots, containers, and flower beds. Seeds can be sown throughout the year, however best time to sow seeds is in September-October for winter flowering. Seeds can also be sown in succession from September to January for continuous flower beds. Planting Distance: To have a mass effect, plant 15 to 30 cm apart. Plant care: Spray fungicides on young seedlings to avoid ‘damping off’. Bloom time: The plant's flower within six weeks after seed sowing. Deadheading: Remove fading flowers, to obtain the second flush of blooms.